Why not install your ModularWall yourself and save on money and time? All ModularWalls products have been designed with the DIY customer in mind. Installation is fast, easy and does not require the use of heavy machinery, extensive digging or specialist trades. If this sounds like your kind of thing, you will be supported throughout the whole process from start to finish with Head Office assistance. Everything from advice on correct material choice to 3D drawings will be at your disposal to guide you along the way, as well as 7-day phone support for all DIY customers. Our DIY wall and fencing systems offer a simple, stunning solution to any home improvement project. 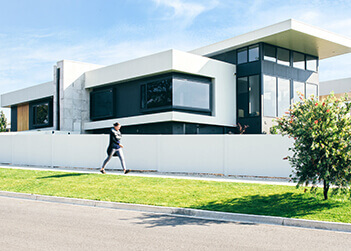 Frame your home with secure boundary walls or premium fencing; level sloping blocks or install garden beds with our retaining walls; boost street appeal with a striking front wall; update your pool area with a modern pool wall; reduce noise with our National Laboratory tested acoustic fencing. Whatever your goal, we’re here to help you make it happen. 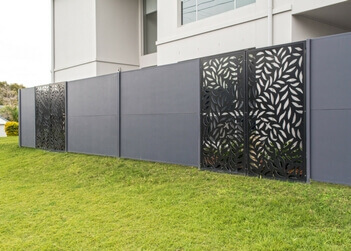 Lauren Pitts, a homeowner in Dudley, NSW, had a chat with us about her recent DIY installation of her beautifully customised SlimWall modular fence. 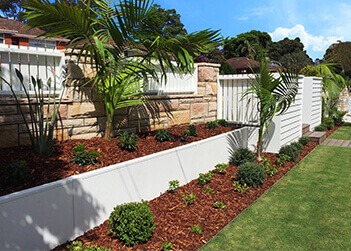 This DIY customer needed a modern front wall that complimented her newly renovated home, provided a secure boundary around the property and provided a cost-effective solution to her needs. After ample research, the SlimWall ticked all the boxes. This resident needed to level the uneven yard of his home situated on the low side of the street and increase the functionality of his outdoor space. Get Started on your DIY Project Today!